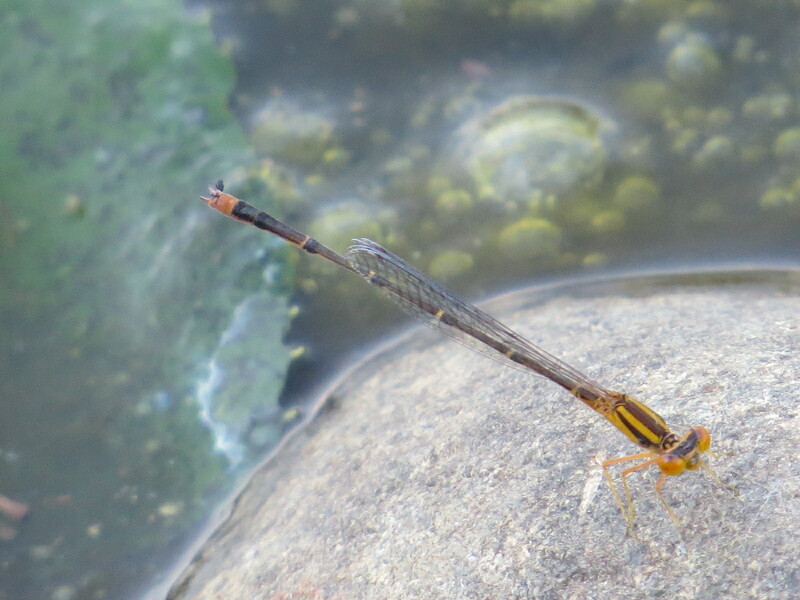 Most of the bluet damselflies are, you guessed it, blue, but this one bucks the trend. Sort of: this is a mature male, but when he was younger, he had blue markings instead of these orange ones. 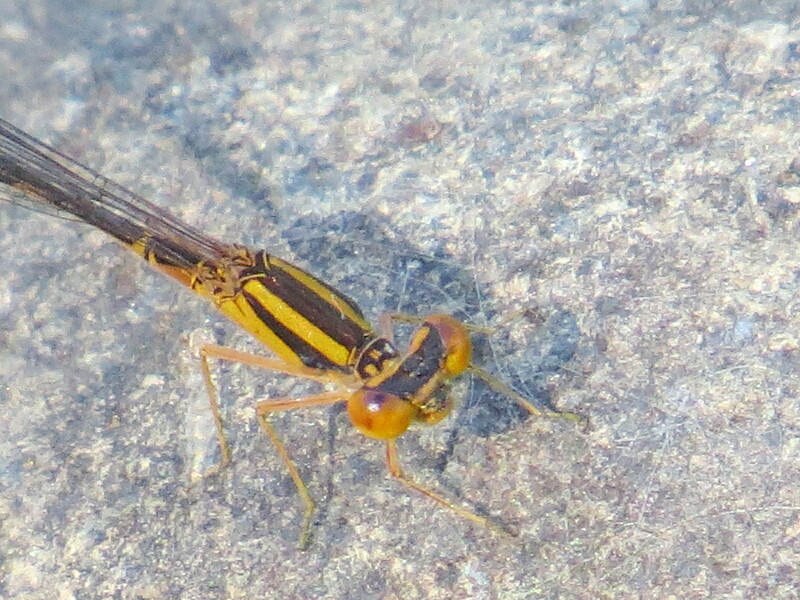 Enallagma signatum.